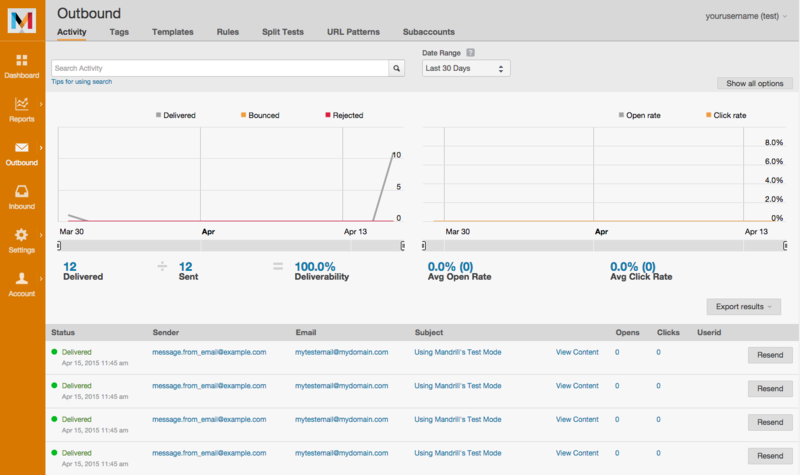 Mandrill has a test mode that lets you experiment and refine integrations for bounce and complaint handling without actually sending email. Test mode messages don't count towards your monthly send totals, and won't damage your account reputation by forcing bounces or spam complaints. 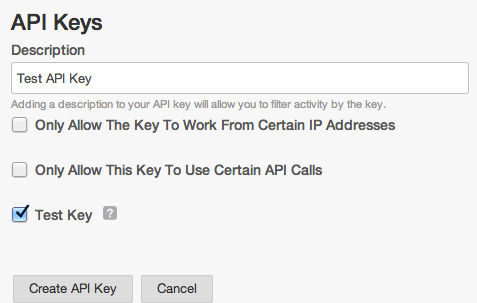 Before you can send emails in test mode, you’ll need a test API key. A test API key is a limited key that interacts with your account only in test mode. No emails are actually sent when you use a test API key for sending. Emails sent with a test API key are visible in the web interface when in test mode, but not while viewing the account normally. Go to Settings in your Mandrill account. Click + New API Key. Enter a description for the key and check Test Key. View test stats by switching to test mode in the web interface. Hover over your username and choose the option to switch to test mode. In test mode, the color of the header bar changes, and activity only for emails sent in test mode appears. Switching to test mode in the web application doesn’t affect emails sent with non-test API keys—those emails will send normally. 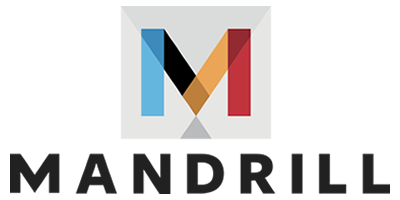 Since no sending occurs when you use a test API Key or send a message in test mode in your Mandrill account, bounces, rejects, and spam complaints won’t occur naturally. To test webhooks for certain types of events, send emails to these addresses using a test API key. Webhooks aren't specific to test mode, but you can use the Rules Engine to target certain webhooks based on the API key used. Emails sent in test mode are specifically designed not to send, and won't affect your account reputation. A test API key is a limited API key that interacts with your account in test mode. No emails are actually sent when you use a test API key for sending. They will be visible in the web interface when in test mode, but not while viewing the account normally.